Mortality Rates For Blood Clots Are Startling. But How Focused Are We On Awareness? even a signature color. The general public seems highly educated about this issue and that’s a good thing. But did you know that the number of deaths from blood clots in the U.S. exceeds the number of deaths from what we consider some our biggest killers? Studies show that in the United States and United Kingdom, VTEs (Venous Thromboembolisms) kill more people than AIDS, breast cancer, prostate cancer and traffic accidents combined. A study by the Mayo Clinic estimates that more than one thousand Mainers die as a result of blood clots every year (a figure that is likely on the low side). According to recent federal research published in the Journal of the American Medical Association, it is estimated that venous thromboembolism (deep vein thrombosis and pulmonary embolisms collectively) costs the U.S. hospital system more than $340 million per year. In 2003, more than 50 organizations assembled in Washington, DC, to discuss the need to make DVT a national public health priority. This gathering resulted in the establishment of the Coalition to Prevent DVT, which declared March as DVT Awareness Month. Their efforts included encouraging DVT screenings, producing an educational video with mobility tips and exercises, and customizing an RV to visit hospitals and communities across the country. Here in Maine, then-Governor John Baldacci, proclaimed November 2008 as “Thrombosis Awareness Month" in the state. The mission of the National Blood Clot Association (NBCA), also founded in 2003, is to educate people about the danger, prevention, and treatment of blood clots and clotting disorders, and DVT awareness is a cornerstone of its work. In 2009, the NBCA received two program grants totaling $2.6 million over five years from the Centers for Disease Control and Prevention. These funds support programs directed at curbing the devastating effects caused each year to over 350,000 Americans who develop a blood clot. Because of the efforts of these and other patient-led and professional advocacy groups, public awareness of DVT and blood clots is increasing, but it hasn’t yet reached the level of ubiquity that breast cancer awareness has. Primary care doctors are on the front lines of reducing the growing number of people suffering with symptoms of venous disease. 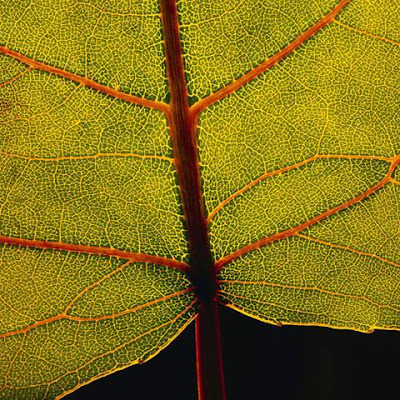 Vein Health News serves as a resource for well-researched meaningful information that you can pass on to your patients. Have Vein Health News delivered to your office. 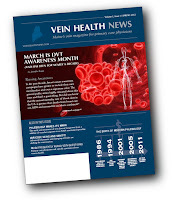 Subscribe to Vein Health News or view the current issue. Deep vein thrombosis affects approximately 2 million Americans every year. What can you do to prevent DVT? “The goals are to prevent the blood clot from getting bigger and breaking loose and to reduce the chances of another clot,” said Dr. Cindy Asbjornsen. Dr. Asbjornsen is a nationally recognized vein specialist, member of the American College of Phlebology, and a board certified Phlebologist. She is the founder of the Vein Healthcare Center in South Portland and the Maine Phlebology Association. 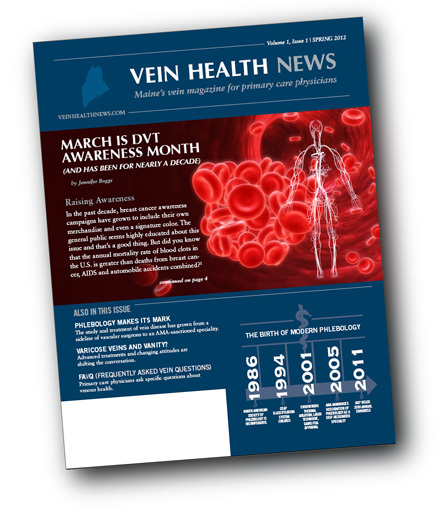 This month, which is DVT Awareness Month, Dr. Asbjornsen shared prevention techniques with the Bangor Daily News. Recommendations include moving as soon as possible after an illness or injury, getting up to walk during travel or periods of sitting for more than four hours, and pumping your feet during times when you are on bed rest. Read more Dangerous Blood Clots Can Strike. DVT is a serious, life-threatening condition that requires immediate medical care but it can be prevented. Find out more about DVT. DVT Dangers: Are You At Risk of a Blood Clot? Two million Americans suffer from blood clots every year. In fact, more Americans die of DVT and PE each year than die from breast cancer, AIDS and automobile accidents combined. But what is it and why is it so dangerous? Deep vein thrombosis (DVT), is a blood clot in the deep vein system. The danger of DVT is that the clot could break free from the vein wall and enter into the blood stream. The clot could then travel to the lungs and become a PE (pulmonary embolism), or to the brain and result in a stroke. DVT-related PE is the leading cause of preventable death in U.S. hospitals. Learn more about how DVT and PE put your health at risk. Many factors contribute to DVT risk, including age, inherited blood clotting disorders, certain medications, or vein injuries. Sitting in a confined space or traveling for long periods can also increase the risk of DVT. There are a number of risk assessment quizzes available online at sites such as StoptheClot.org and PreventDVT.org. In most cases, the affected area— usually in the leg— will be painful, swollen or tender, with a redness or discoloration of the skin. Even a muscle cramp that feels especially sharp and painful can be an indication of DVT. DVT is a medical emergency, so any symptoms should be regarded as a DVT until proven otherwise, especially if someone is in a risk category. About half of the time, DVT has no symptoms at all. March is DVT Awareness Month, The perfect time for everyone to find out their level of risk, and talk to someone on their medical team, especially if they’re in a high-risk group. Find out more about yours DVT Risk Factors, symptoms and ways to prevent DVT at the Centers for Disease Control and Prevention. Do you have questions about DVT, venous disease and its treatment? Find out more by visiting Vein Healthcare Center. Welcome to @VHC, where we’ll be sharing the latest information about the Vein Healthcare Center, treatments and trends in vein care, developments in phlebology, and more. And since we’re based in Maine, we’ll also discuss our favorite topic: quality of life. Consider this an open invitation to join the conversation, ask a question, or share your opinion. Just email connect@veinhealthcare.com, or call (207) 221-7799.